Tuesday’s meeting is remarkably light in terms of agenda items and critical decisions. There are a couple of things that are worth mentioning. We are developing an engaged citizenry. A number of initiatives that have been brought before Council in terms of letters and deputations will be reviewed and, as appropriate, acted upon. The issue of the one bag garbage limit, 4.2, will be on Council’s agenda in the New Year. Council will also consider a road repair, 4.4, as part of the 2016 budget deliberations. And the big one, 5.1 the water fluoridation issue, has met the requirements to trigger consideration of a referendum process. But it’s not as simple as it might seem, there needs to be the involvement of McDougall as they are supplied by Town water. I suggest you look at the full agenda package to understand the requirements and the current circumstances surrounding this issue. While I am not in agreement with the suggestion to discontinue water fluoridation, I do support and encourage residents of Parry Sound to provide input to Town Staff and Council. Also a new feature of the council agenda – “Response by Town Staff”. In some cases the agenda will make note of the Staff response to a letter. That’s the case this week with items 4.2 and 4.3, which outline Staff’s plans to address the issues raised. 4.1 – Doug Graham, Resident, Re: Follow-up Letter after meeting with staff regarding location of proposed giant hockey stick. 4.2 – Leslie Panipak, resident Re: Concerns regarding the 1 bag limit for apartments is not being universally applied. Would like a review of the by-law governing the bag limit. Response by Town Staff – A review of the by-law will take place in the new year. 4.4 – Wendall Fisher, Chair, Parry Sound Area Active Transportation Re: Safety concern for cyclists on Parry Sound Drive between the Mall and the municipal boundary at Smith Cres. Response by Town Staff – Some remedial repair was done. Hoping to budget for a complete asphalt restoration in 2016, budget permitting. 5.1 – Andrea McIntyre, Parry Sounders for Progressive Water Management Re: Film entitled, “Our Daily Dose”, by Jeremy Seifert. 9.3.1 – 40 Km / Hr Speed Limit – Town Streets. Direction. That upon recommendation of the 8-80 Advisory Committee Council direct staff to prepare a Report & Recommendation on the feasibility and implications of reducing speed limits to 40 kph on Town streets. I like the idea but I wonder about enforcement. Riding a bike along Bowes Street can be a scary adventure when cars are heading into town. It takes a conscious decision by drivers to apply the brakes when rolling downhill to stay under 50 kph; 40 kph will take real attention. Does the Town get a split of the proceeds from speeding tickets? It might make up for some of the lost parking revenues. 9.3.2 – 2015 – 18 Strategic Plan. Resolution. That upon the recommendation of the Strategic Plan Ad-hoc Advisory Committee, the 2015 – 2018 Strategic Plan be adopted, attached as Schedule “A”. 9.3.3 – Referendum (Plebiscite) – Discontinuance of Fluoridation of Town’s Drinking Water. Resolution. That Council for the Town of Parry Sound acknowledge receipt of the Report and Recommendation (R&R) regarding a possible petition by 10% or more of Parry Sound’s and McDougall’s electorate to remove fluoride from the drinking water system, attached as Schedule “A”; and that a copy of this R&R be provided to the Council of the Municipality of McDougall for their information. Take a look at the full agenda package for more information on this issue. There is more than can be easily summarized in this post. 10.4.3 – Lease agreement with MPAC for office space at 52 Seguin St. 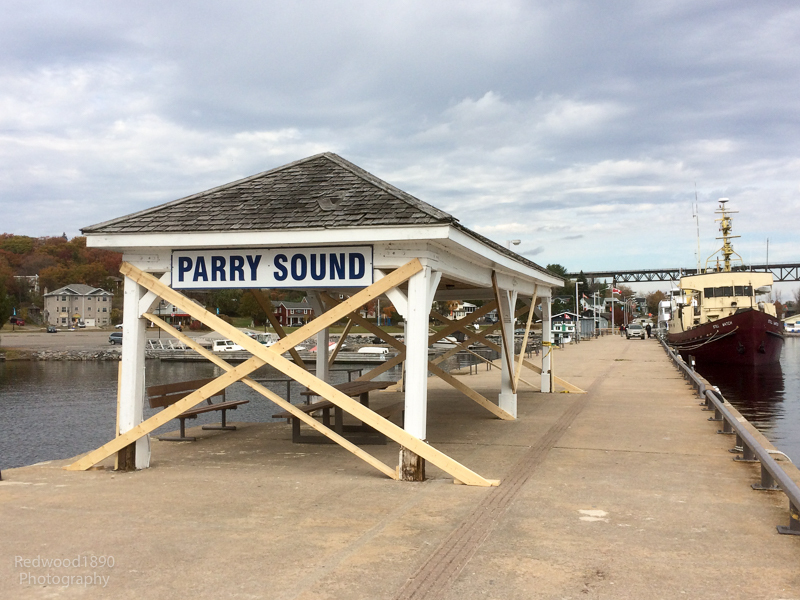 Being a By-law to authorize the execution of an agreement with the Municipal Property Assessment Corporation (MPAC) for the leasing of office space at the Town of Parry Sound Municipal Office. That’s about all there is of note. I won’t be at the meeting on Tuesday evening because of other commitments.